Windows 10 collects and saves your activity history both on your computer and to the cloud, from browsing history to location information to everything in between. Luckily Microsoft makes it easy to see all the data that is being stored, and also makes it easy to delete it. What Data Does Windows 10 Track? If you use Microsoft’s HealthVault or the Microsoft Band device, any activity collected through that service is also stored. Microsoft says it collects this data in order to provide you with more relevant results and content that is of interest to you. Go to Settings > Privacy > Activity History. Under Clear Activity History, click the Clear button. Go to Settings > Privacy > Activity History and click Manage my activity info. A browser window will open up, and you may be prompted to log into your account if you aren’t already logged in. You can also reach this page by going to account.microsoft.com/privacy/activity-history. 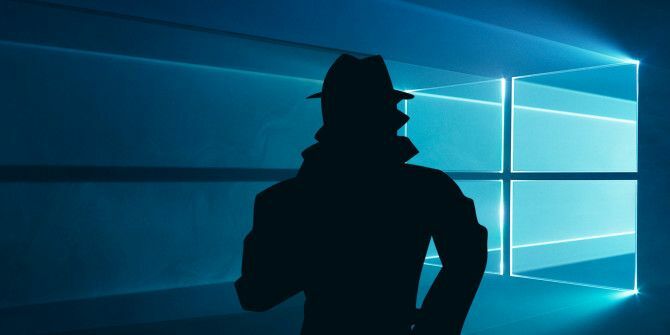 Here, you should see your data divided into the categories listed above: Browsing History, Search History, Location Activity, Voice Activity, Cortana’s Notebook, and Health Activity. You can view and clear data in each section, by clicking the clear data button that corresponds with each section, and click the button confirming that you want to delete it. You can also click on the Activity History tab to will view a full list of all data types: voice, search, browsing history, and location information. Microsoft also makes it easy to filter down to each category by clicking on it. Do you allow Windows to store your activity history or do you prefer to keep all these options turned off? Let us know why in the comments. Explore more about: Computer Privacy, Online Privacy, Windows 10.